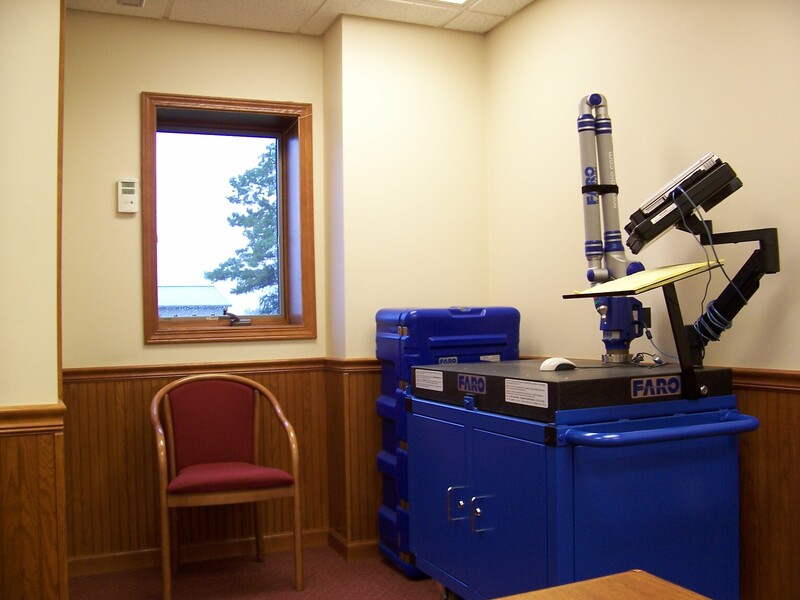 Faro Coordinate Measuring Machine. Precision measuring of most any size part with computer aided measuring to save part info. Measured shapes can be imported to 3D cad software via .sat files.